Fresh clams, like other shellfish, are sold live and need to be kept alive until you cook them. Fresh clams have tightly closed shells, or shells that will snap shut if you tap them with your finger. Open shells that do not close should be discarded as unsafe to eat. When purchasing fresh clams, ask the vendor to see the shipper's tag to ensure freshness. 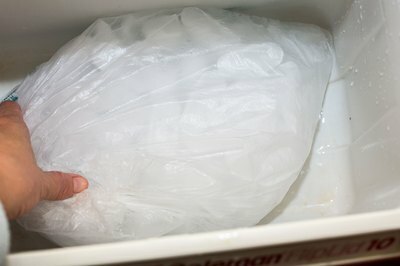 Place an unopened bag of ice in the bottom of a cooler. Cover the ice with newspaper or a towel. Place the fresh clams in the cooler on top of the newspaper or the towel. Close the lid of the cooler securely, and get the clams home as soon as possible. Place the clams in a colander or any well-ventilated container. 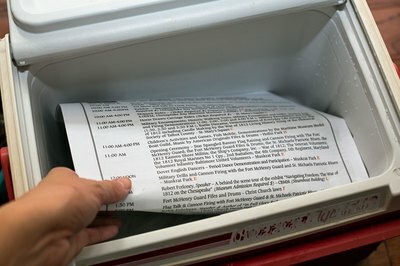 Cover with a clean, moist towel and store in the refrigerator. 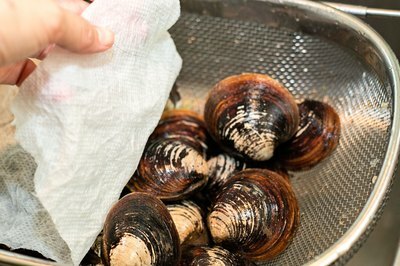 Cook the clams within two or three days, keeping the towel covering them moist until you're ready to cook them. 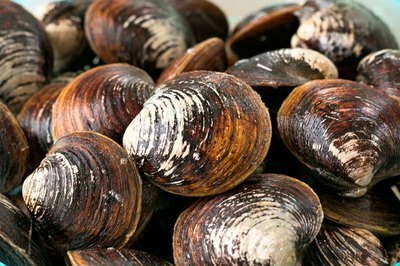 Check the clams before you cook them and discard any that have opened up. 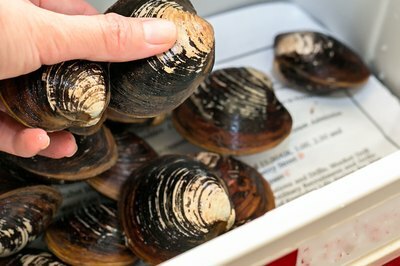 While fresh clams should be cooked within two or three days after you get them home, they can live up to a week if stored in the refrigerator in this way. When looking for clams, make sure you buy them from a reputable vendor who maintains a clean establishment. North Carolina State University: Is Our Seafood Safe to Eat?